Remember the madness that accompanied the launch of H&M x Kenzo? 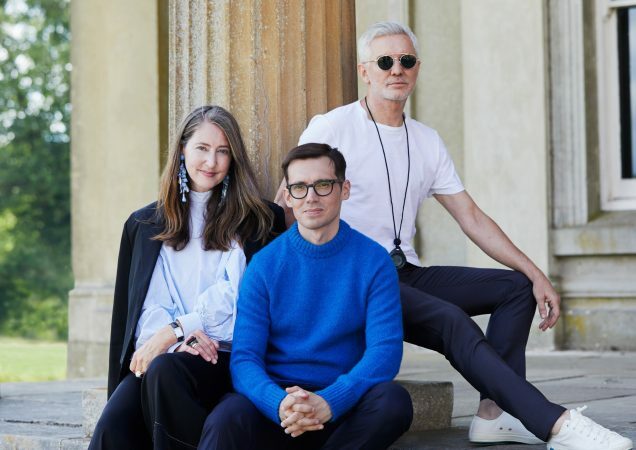 It’s coming back this fall, times two, when the Swedish retailer debuts its newest designer collaboration, this time with Canadian and Turkish designer Erdem Moralioglu. Why the times two? Well, for the first time ever, the capsule will include a range for men. Consider our interest piqued. First, since establishing Erdem back in 2005, Moralioglu has turned down nearly every business proposition that’s come his way. Second, Erdem x H&M marks the designer’s first foray into menswear. Given that Moralioglu is known for his vibrant prints, detailed craftsmanship and overtly feminine designs, this is, in a word, momentous. “I am so happy to collaborate with H&M, and to explore my work on a whole new scale, including a menswear collection which I have never done before,” said the designer in a statement. While we’re on the subject of cinema, because no one knows how to build hype better than H&M, the brand tapped legendary director Baz Luhrmann to direct the requisite campaign. Moralioglu believes in pieces that are timeless both in design and construction. He promises Erdem x H&M will last longer than your typical H&M buys. “I want it to be pieces you’ll be wearing in 10 years’ time, as women do with my own clothes,” the designer told Vogue. As if we needed more incentive to get in line. Mark your calendars now, ladies and gents.